The cyclist was thrown clear from the collision but still received injuries to their leg. DUBLIN FIRE BRIGADE is warning cyclists to take care on the roads and always wear a helmet after a collision in Dublin city centre yesterday. 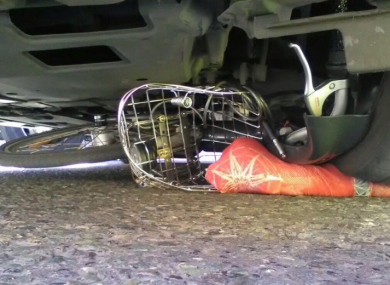 A cyclist had a lucky escape after a crash which ended with a bicycle under a car. It’s understood that the cyclist was thrown clear from the collision but still received injuries to their leg. Dublin Fire Brigade posted images to Twitter where the Dublin bike can be seen underneath the taxi. Email “Dublin bike ends up under taxi in city centre collision ”. Feedback on “Dublin bike ends up under taxi in city centre collision ”.